insitro is led by world class pioneers at the intersection of data science and the life sciences, with extensive experience in applying machine learning to a range of biological problems and data sets. Adam Riesselman is a computational biologist with experience in developing powerful, interpretable machine learning models for complex biological data. At insitro, Adam is focused on integrating high-throughput measurements with new scalable algorithms to understand disease. Adam received a BA in Biochemistry: Cell and Molecular Biology from Drake University and his PhD in Biomedical Informatics at Harvard University with Debora Marks as a Department of Energy Computational Science Graduate Fellow. There he developed new statistical models for unsupervised mutation effect prediction from evolutionary data, de novo protein structure prediction via simulation, protein library design with improved biomolecular properties, and small molecule production optimization utilizing biosynthetic pathway engineering. When not at the computer, Adam likes to cook and enjoy the outdoors by hiking, gardening, and biking. As Vice President of High-throughput Biology Aj is responsible for producing high-quality data sets to use in for machine learning-based target and drug discovery. He leads insitro’s wet lab activities (bio-data factory) which consists of functional genomic, disease modeling, automation/process engineering and proteomic teams. Ajamete has spent over 28 years in both industry and academia, working in the areas of proteomics, genomics, and stem cell biology. Before joining insitro, Aj led the early target discovery team at Novartis Institutes for Biomedical Research in the Neuroscience unit. His team efforts have led to the discovery of multiple new disease targets and the development of better predictive preclinical models. He conducted his postdoc with Dr. Randy Moon at University of Washington/Howard Hughes Medical Institute on Wnt-signaling. While in Randy’s lab, he conducted one of the first ever genome-wide RNAi screens and studied the role of Wnt-signaling in human disease and stem cell biology. He did his graduate work at University of Wisconsin-Madison in Dr. Bill Sugden’s lab where he studied virology, immunology, and oncology. In his free time, Aj enjoys traveling, kayaking, sailing, biking, making whiskey and most of all his family. Albert utilizes different automation technologies to ensure quality data generation from many of insitro’s scientific processes. This includes integrating specific assays onto automation, onboarding tools for efficient execution, and maintaining an environment for seamless research operations. After graduating with his B.S. in Biochemistry and Philosophy from Wisconsin-Madison he started at Abbott Laboratories as an Associate Scientist focusing on instrument and assay validation for their diagnostics platform. After working in a big company environment, he joined Transcriptic, where he helped w/ assay integration and automation. In his free time, Albert enjoys watching the NBA and trying out different banana bread recipes. Alexis’ first job was selling peanuts at Wisconsin Badger football games at age 14.
the life sciences and technology industries, both in California and in Switzerland. Britt is passionate about developing mission-driven companies and coaching its people to evoke excellence. Prior to joining insitro, Britt served as VP, People & Organizational Development at PaxVax, Inc., a fully-integrated specialty vaccines company, which she helped build and scale from start-up to a global, commercial stage company that was acquired by Emergent BioSolutions in 2018. Before then, Britt was the VP of People at Kiva, the world’s first personal micro-lending platform, where she supported the organization’s doubling in size, internationalization, and creation of an awesome culture. Britt holds an MBA from St. Mary’s College, Moraga, California and a Senior Professional in Human Resources (SPHR)-Certification. She’s also a Certified Professional Coach from New Ventures West, San Francisco, California. She speaks English, German, French, Italian, and Spanish. When Britt is not cheer-leading the people she serves, she loves to explore the world traveling, enjoys the great outdoors while running, biking, hiking, swimming, skating,painting or striking a yoga pose somewhere. As Head of Functional Genomica at insitro Cecilia is responsible for producing high-quality screening data sets to advance the drug discovery pipeline. Cecilia’s team is responsible for building state of the art screening tools as well as cell engineering and single-cell read-out assays. Cecilia has spent over 20 years in both industry and academia, working in the areas of genomics, cell engineering, cancer and DNA damage. Prior to insitro, Cecilia was one of the first scientists hired at Editas, the first CRISPR-based therapeutic company, and helped to define and shape the vision of the Editas platform. She spearheaded numerous academic collaborations devoted to platform optimization and led the development of the T cell gene therapy treatment aiming to treat an immunodeficiency disease. She conducted her postdoc in Steve Elledge’s lab where she performed whole genome high-throughput screens in mammalian cells using siRNA/shRNA to identify novel components of the DNA damage response. Cecilia has been principal author and co-author on several publications in high impact factor journals, such as Science, Nature, Nature Communications and Molecular Cells; moreover, she has been the inventor on several key patents that capture improvements in the CRISPR system. Outside of work Cecilia is mother of 2 rambunctious lovely boys and does yoga to reba. Chris Probert is a computational biologist and computer scientist with extensive experience building deep learning models for genomic data. His current work at insitro is focused on enabling large-scale deep learning on functional genomic data produced by the high throughput biology platform. Chris is a PhD candidate in Computational Biology (Genetics) at Stanford working with Anshul Kundaje and Christina Curtis where he was an NSF Fellow and an Accel Innovation Scholar. His PhD work focused on large-scale machine learning analysis of functional genomics datasets, including imputation and superresolution of genome-wide epigenomic signals, unsupervised methods for learning differentiation lineages in single-cell RNA-seq, and tissue of origin inference from cell-free DNA fragmentation patterns. He has extensive engineering experience building scalable infrastructure and data architectures to support distributed training of deep learning models from petabyte-scale functional genomic datasets. He also holds an MS and BS in Computer Science, and experience working in both research and product focused software engineering roles at Google, Illumina, and Counsyl. 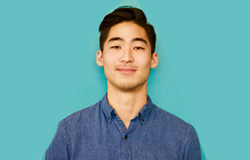 Outside of work, Chris enjoys running, cycling, backpacking, and backcountry skiing. Daphne Koller is the CEO and Founder of insitro. Daphne was the Rajeev Motwani Professor of Computer Science at Stanford University, where she served on the faculty for 18 years. She was the co-founder, co-CEO and President of Coursera for 5 years, and the Chief Computing Officer of Calico, an Alphabet company in the healthcare space. She is the author of over 200 refereed publications appearing in venues such as Science, Cell, and Nature Genetics, and has an h-index of 130. 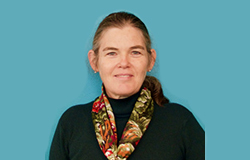 Daphne was one of TIME Magazine’s 100 most influential people and is a MacArthur Fellow, a member of the National Academy of Engineering, and a Fellow of the American Academy of Arts and Sciences and the International Society of Computational Biology. In her spare time, Daphne enjoys spending time with her family, especially while traveling to exotic destinations (62 countries so far and counting), where they enjoy hiking, sailing, scuba diving, and eating fresh local food. Dave did his PhD in biophysics at UCSF and his postdoc at UC Berkeley. He spent 5 years as a high-performance research computing expert at Lawrence Berkeley Labs and at Genentech, where he performed research into Computational Grids including grid system administration and scientific workflow management, to enable scale-out of large computational biology workflows. This was followed by a decade as a Staff Software Engineer at Google, where he was the Founder and Tech Lead of Google Cloud Genomics, and the Founder and Tech Lead of Exacycle, a high-performance platform that enabled scientists to leverage Google’s extensive computational resources to execute and publish state-of-the-art research in protein design, drug discovery, and genomics. He is an author on 27 papers (Nature Chemistry, Biochemistry) and 4 patents. In his spare time, Dave likes to build cool devices, including microscopes. Deirdre is a research associate supporting several different aspects of lab work including cloning, iPSC culture, automation, and pretty much anything else needed around the lab! 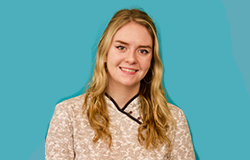 Deirdre graduated in May 2018 from Cornell University with a BSc. in Biology, concentrating in Genetics, Genomics, and Development. Deirdre is a veteran of lab work having worked in 6 different labs starting at age 15 – most recently as a member of Dr. Kristy Richard’s lab at Cornell University College of Veterinary medicine, and intern at Pfizer in the functional genomics group. She grew up in Nyack, New York and spent many summers in Castle Island, Ireland with her extended family. In her free time Deirdre enjoys live music, podcasts, painting, and fashion design. Eilon Sharon is a senior data scientist and computational biologist with extensive experience in applying machine learning to decipher various biological questions. Eilon’s work at insitro integrates observations from large population-level studies, such as GWASs, with results from various high throughput in-vitro assays to identify potential drug targets. After completing a dual major B.Sc. in biology and computer science at TAU, Eilon joined Rosetta genomics, where he worked on discovering miRNA genes in human and predicting their targets. He then earned a PhD from the Weizmann Institute of Science under the supervision of Prof. Eran Segal. During his PhD, he developed synthetic biology Massively Parallel Reporter Assay (MPRA) and statistical and thermodynamic models, which he applied to decipher the encoding of transcriptional regulation in yeast. Following graduation, Eilon transitioned to a postdoc at Profs Jonathan Pritchard and Hunter Fraser labs in Stanford Medical school department of genetics. At stanford, Eilon worked on a diverse set of projects including: detection and fine mapping of genetic associations with T cell receptor V-genes expression; software for transplant health monitoring using cell-free DNA sequencing (which was commercialized by Stanford); and detection of functional genetic variants using a novel high throughput CRISPR editing. Eilon is the author of over 20 refereed publications appearing in venues such as Cell, Nature Biotechnology and Nature Genetics. In his free time, Eilon enjoys hiking and camping outdoor with his family. Eric utilizes microscopy to extract quantitative information from cells. His research is focused on developing in situ genomics technologies through a combination of bioengineering, optics, and image analysis. As a member of the functional genomics team, Eric is dedicated to delivering novel assays and datasets to further insitro’s drug discovery pipeline. Eric earned his Ph.D. in biophysics from Caltech where he developed a new generation of microscopes capable of capturing transcriptomic information from human cells and tissue. Following graduation he transitioned to a postdoc in bioengineering at UCSF/Stanford where he developed synthetic biology tools using CRISPR screens. In his free time Eric enjoys bicycles, hiking, and spending time with his family. Hervé is a very enthusiastic applied mathematician with strong research interests in molecular and cell biology. 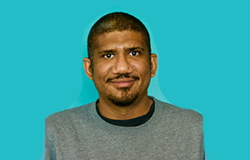 His current work at insitro is focused on the development of new computational methods to generate and extract valuable insight from imaging experiments. Hervé earned a Master of Machine Learning, Computer Vision and applied mathematics from the Ecole Normale Supérieure in Paris before pursuing a PhD at the Pasteur Institute, where he spearheaded the development of FISH-Quant, a software to quantify 3D microscopy images of single RNA molecules, and GRAAL, a Bayesian genome assembler using HiC data. As a postdoc in Robert Tjian’s lab at UC Berkeley, he developed computational methods to improve the quantification of high resolution microscopy data for insight into transcription regulation and spatial genomic organization. During his free time, Hervé enjoys hiking and giving autographs pretending he is a famous NBA player. Dr. Jason Coloma is a Venture Partner at Third Rock Ventures. His professional experience spans company formation and operations, corporate and business development, finance and R&D in the biotechnology industry. Prior to joining Third Rock, Jason was the senior vice president and chief business officer at Corvus Pharmaceuticals. Previously, Jason held a number of roles at Roche, including vice president & global therapeutic area head of oncology and cancer immunotherapy partnering. He was also the global head of innovation partnering where he was responsible for early drug discovery stage partnerships across all therapeutic areas. At Roche, Jason led or oversaw numerous transactions ranging from research collaborations to mergers and acquisitions (M&A). Before joining Roche, Jason was a consultant in the life sciences practice at L.E.K. Consulting. He also worked in finance at Amgen and in research at the University of California, San Francisco and Cytokinetics. Jason holds a Ph.D. and M.P.H. at the University of California, Berkeley, an MBA from the Tuck School of Business at Dartmouth and a B.S. in Biology at the University of San Francisco. Jim Tananbaum founded Foresite Capital in 2011 to merge his entrepreneurial experience and networks gained from 25 years in healthcare investing. Throughout his career, he has excelled at systematic and deep technical analysis of healthcare opportunities, while supporting the growth of companies from small enterprises into enduring franchises. Jim designed Foresite Capital to scale his previous experiences. Foresite Capital has grown into a full lifecycle investor with a foundation of technical excellence and a unique culture of internal and external collaboration. Jim’s goal is for Foresite Capital and each of its portfolio companies to deliver important novel products to address critical needs in our healthcare system. Prior to founding Foresite Capital, Jim co-founded two leading biopharmaceutical companies and two healthcare investment practices. While finishing Harvard University Medical and Business Schools and earning an MS from the Massachusetts Institute of Technology (MIT), he founded GelTex Pharmaceuticals (NASDAQ:GENZ), which brought two drugs to market for less than $80 million. GelTex was acquired in 1998 for $1.6 billion, when its lead drug, Renagel (Renzela) had an annual revenue run rate in excess of $200 million. Today, Renzela is estimated to produce close to $1 billion in annual revenue, 22 years after its launch. Jimalso co-founded and was CEO of Theravance, Inc. which shares GSK’s respiratory franchise through a joint venture, Innoviva (NASDAQ: INVA), and completed a spin-off, Theravance Biopharma, Inc. (NASDAQ: TBPH). The two companies have a combined market capitalization of approximately $3.2 billion. Jim’s investment experience includes being a founding partner of Prospect Venture Partners II and III, and earlier in his career, a partner at Sierra Ventures, where he helped establish its healthcare services investment practice. Jim has led numerous investments, including Amira Pharmaceuticals (acquired by NYSE: BMS), Amerigroup (NASDAQ: AMGP), Healtheon (NASDAQ:WBMD), and Jazz Pharmaceuticals (NASDAQ: JAZZ). Jim founded Foresite Capital with the vision of marrying elements of all aspects of his career to create a novel investment platform. As the Head of Process Engineering, John is responsible for leading the development and deployment of lab automation for high-throughput, effective production of high-quality data sets to use in machine learning. John’s team also will focus on building out the tools and capabilities for implementing operational excellence across all of insitro’s laboratories. Prior to joining insitro, John spent the last 20 years designing, building and managing automation solutions across biotech and pharmaceutical industries. He has significant expertise with early-stage startups, helping to develop, implement and support automation technologies as they scale. John has an M.Eng. in Systems Engineering from Penn State University. He is an avid outdoor enthusiast who enjoys backpacking, road biking, landscape photography, and travel. Joyce Yang is a scientist with extensive experience developing novel technologies at the intersection of CRISPR genome engineering, stem cells, and in situ sequencing. To enable machine-learning based drug discovery, her current work at insitro is focused on building CRISPR perturbation platforms in relevant cellular model systems to produce high-quality data from functional genomic screens and disease modeling. Joyce earned her B.A. from UC Berkeley majoring in Molecular Cell Biology and minoring in Music. She then pursued her passion for science and earned her Ph.D. from Harvard in Biological & Biomedical Sciences. Her graduate work with Dr. George Church focused on developing a novel in situ RNA sequencing technology as well as CRISPR/Cas9 genome engineering strategies to improve efficiency in human induced pluripotent stem cells (iPSCs). Next, she dived into the exciting world of biotech startups at Synthego, contributing to the growth and commercialization of the new Cell Engineering division as one of the foundational scientists. Joyce loves to sing and experiment on the piano, traveling, backpacking, taking long walks, and trying all things chewy. 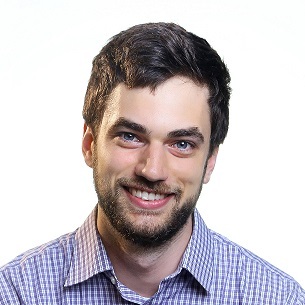 As Disease Modeling Scientist, Max is focused on using pluripotent stem cells, CRISPR, and a range of differentiation and transcriptomics approaches to model human diseases in in vitro platforms. Max and his team will model devastating human diseases using the relevant cell types, and will produce high-throughput / high-quality imaging and transcriptomic datasets for insitro’s machine learning platform to mine for phenotypes. Max is an engineer by training, gaining a B.S. in Engineering Mechanics and Astronautics and a Ph.D. from the Materials Science Program of the University of Wisconsin – Madison. By combining dry lab engineering with wet lab disease modeling, Max has frequently used the newest technologies to gain insights into the mechanisms by which various genetic diseases affect human health. Max spent his time in graduate school developing micropatterned differentiation techniques and computational analysis tools to improve stem-cell-based heart modeling methods. 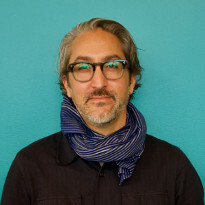 Prior to joining insitro, Max spent 4 years as a postdoc in the Novartis Neuroscience department, where he developed single cell characterization platforms to discover disease mechanisms of tuberous sclerosis, uncovered novel mechanisms of disease progression in certain dementias, and conducted genome-wide screens to elucidate potential Zika virus receptors. Max’s free time is spent with his border collie, Coda, along with playing piano/guitar, and poorly-but-enthusiastically playing various sports. Mohammad ‘Muneeb’ Sultan is a computational chemist with experience working at the interface of computational biophysics, free-energy methods, machine learning, and statistical mechanics. His current work at insitro is focused on building up the machine learning platform, and designing novel methods for analyzing the outputs of various high throughput assays. Muneeb is a native of Pakistan and grew up in the city of Rawalpindi. He got his undergraduate degree in Chemistry at Yale, and his PhD in Physical Chemistry at Stanford under Vijay Pande. At Stanford, Muneeb focused on studying oncogenic kinases using the Folding@home distributed computing platform, collecting and analysing some of the largest simulation datasets of their kind. Simultaneously, he also worked on developing new Machine learning algorithms for accelerating free-energy calculations and molecular simulations. Muneeb has co-authored 17 publications appearing in venues such as PRE, PNAS, Nature Scientific Reports, and Nature Chemistry. During his free time, Muneeb likes to powerlift, do yoga, explore the bay area, create digital art, cook, and listen to music. Nav has extensive experience working at the intersection of next generation sequencing, microfluidics, and single cell technologies. His focus at insitro involves designing and analyzing high throughput sequencing experiments in order to support indication specific drug discovery pipelines and the functional genomics team. Nav acquired his undergraduate degree in Chemical Engineering at UC Berkeley followed by a PhD in Biological Engineering at MIT. His graduate research focused on developing novel targeted sequencing technologies to make single cell genomic experimental more feasible and to understand patterns of DNA damage. While completing his PhD, Nav also served as a Communication Fellow at the Broad Institute where he mentored scientists through the process of written, verbal, and visual presentations of science. In his free time, Nav is an avid proponent of indoor and outdoor sports ranging from lounging on a couch to climbing up and skiing down mountains. Owen spent four and a half years as a member of Dr. Jonathan Weissman’s Lab at UCSF, where he supported the development RNAi-based and CRISPR-based mammalian genome-scale functional genomics screening platforms, successfully identifying new targets for grants and publications. He cloned and maintained ultracomplex shRNA/sgRNA screening libraries as well as generated stable cell lines with gene repression or activation. Additionally, he conducted numerous functional genomic screens in cancer cell lines challenged by various toxins, drugs, and chemicals. After his time at UCSF, he spent two and a half years at Driver, where he developed NGS assays and validated tumor-normal and cfDNA manual assays under CAP and CLIA guidelines. He also had fun acquiring a new set of skills in converting these manual assays into fully automated processes. Dr. Blainey took degrees in mathematics and chemistry at the University of Washington before joining Professors Gregory L. Verdine and X. Sunney Xie in the Department of Chemistry and Chemical Biology at Harvard University for Ph.D. study in Physical Chemistry. There, Dr. Blainey developed single-molecule biophysics techniques for the study of DNA repair. In 2007, Dr. Blainey shifted his focus to single-cell genomics in Professor Stephen R. Quake’s group at Stanford University. A faculty member in Biological Engineering at MIT and a Core Member of the Broad Institute since 2012, Dr. Blainey’s group integrates microfluidic, molecular, and imaging tools to create robust and scalable solutions to major challenges in the life sciences and biomedicine. Perry is a Special Projects Manager and member of the Data Science team at insitro. He supports the executive team on initiatives at the intersection of machine learning and corporate strategy, including business development and the formulation of machine learning problems relevant to drug discovery and development. Perry completed his Ph.D. in the Bioinformatics and Integrative Genomics program at Harvard Medical School where his research focused on using statistical models to predict protein structure from sequence variation. Prior to graduate school he spent five years working in finance for Morgan Stanley and BMGI, the investment office of Bill and Melinda Gates and the Bill and Melinda Gates Foundation. He majored in physics at Princeton University where his senior thesis focused on modeling viral gene regulatory circuits. Having grown up in Sun Valley, ID, Perry is excited to be back west and enjoys spending as much time as possible outside, whether on foot, bike, or skis. 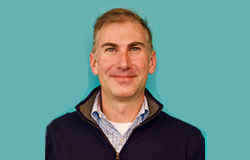 Robert Nelsen is a co-founder and a Managing Director of ARCH Venture Partners. He joined ARCH at its founding and played a significant role in the early sourcing, financing, and development of more than thirty companies, including nineteen which have reached valuations exceeding $1 billion. His seed and early-stage investments include Illumina (ILMN); Alnylam Pharmaceuticals (ALNY); Juno Therapeutics (JUNO); Vir Biotechnology, Agios Pharmaceuticals (AGIO); Sage Therapeutics (SAGE); GRAIL; Ikaria; Kythera Biopharmaceuticals (KYTH); Receptos (RCPT); Aviron (AVIR); Denali Therapeutics (DNLI); Rubius Therapeutics; KSQ Therapeutics, Beam, NetBot; Bluebird Bio (BLUE); R2 Technology; XenoPort (XNPT); Caliper Life Sciences (CALP); Trubion Pharmaceuticals (TRBN); Adolor (ADLR); deCODE Genetics; Array BioPharma (ARRY); Editas (EDIT), IDUN Pharmaceuticals; Classmates.com; Hua Medicine; Fate Therapeutics (FATE); WuxiNextCODE; and Everyday Learning Corporation. Robert is a director of Vir Bio, GRAIL, Juno Therapeutics, Unity Biotechnology, Denali Therapeutics, Arivale, Syros Pharmaceuticals, and serves as Chairman of Hua Medicine, among others. He previously served as a Trustee of the Fred Hutchinson Cancer Research Institute, the Institute for Systems Biology, and was a director of the National Venture Capital Association. Mr. Nelsen holds an M.B.A. from the University of Chicago and a B.S. from the University of Puget Sound with majors in Economics and Biology. As insitro’s Office Manager and Executive Assistant to the CEO, Steve performs an extensive array of administrative tasks and sets a foundation for the smooth business operations of the company, making the entire team more effective and successful. Steve spent his first nine years in Bay Area biotech at Amyris, moving from receptionist to executive support roles for the CEO and the President of R&D. He then moved to Calico to support Daphne Koller in her role as Chief Computing Officer. Steve has an M.A. in French from the University of Louisville and a B.A. in Foreign Languages/International Studies from Bellarmine University. Steve used to have many hobbies but now has three young daughters. 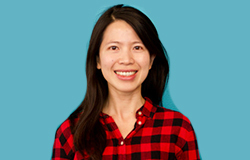 As part of the Functional Genomics team at insitro, Tina generates libraries for screening using the latest molecular biology techniques. Tina spent the last thirteen years working in all facets of yeast strain engineering, first at Amyris and then at Lygos and Calico. She received a B.S. in Chemical Engineering from UC-Berkeley and was an undergraduate researcher in the Keasling lab. Tina used to play ice hockey but now focuses her energy into knitting or crocheting toys for her three kids. Vijay Pande is a general partner at Andreessen Horowitz where he leads the firm’s investments in companies at the cross section of biology and computer science including areas such as the application of computation, Machine Learning, and Artificial Intelligence broadly into Biology and Healthcare as well as the application of novel transformative scientific advances. Previously, Vijay was the Henry Dreyfus Professor of Chemistry and Professor of Structural Biology and of Computer Science at Stanford University. He led a team of researchers pioneering computational methods and their application to medicine and biology, resulting in over 200 publications, two patents and two novel drug treatments. Concurrently, he was the director of the Biophysics program at Stanford, where he led a team of more than 50 Stanford faculty members and propelled the program to the top in the country. As an entrepreneur at the convergence of biology and computer science, Vijay is the founder of the Folding@Home Distributed Computing Project for disease research that pushes the boundaries of the development and application of computer science techniques (such as distributed systems, machine learning, and exotic computer architectures) into biology and medicine, in both fundamental research as well as the development of new therapeutics. Also during his time at Stanford, Vijay co-founded Globavir Biosciences, where he translated his research advances at Stanford and Folding@Home into a successful startup, discovering cures for Dengue Fever and Ebola. In his teens, he was the first employee at video game startup Naughty Dog Software, maker of Crash Bandicoot. Vijay received a BA in Physics from Princeton University and a PhD in Physics from MIT. He was awarded the DeLano Prize in Computation, Guinness World Record for Folding@Home, ACS Thomas Kuhn Paradigm Shift Award, and MIT TR100. He serves on the board of the following Andreessen Horowitz portfolio companies: Apeel, BioAge Labs, Freenome, Omada Health, Patient Ping, and Rigetti Computing. He also leads the firm’s investments in Benchling, Cardiogram, SolveBio, TL Biolabs, TwoXAR, Q.bio, and uBiome.